On October 31st ONLY, add a fun and tasty “web” of BBQ sauce to any pizza…FREE OF CHARGE! It’ll be ghoulishly delicious. Our Oakland and Berkeley locations will be opening 30 minutes early (10:30) to accommodate all of those lunchtime Halloween pizza cravings. All four locations open at 11am for dine-in. 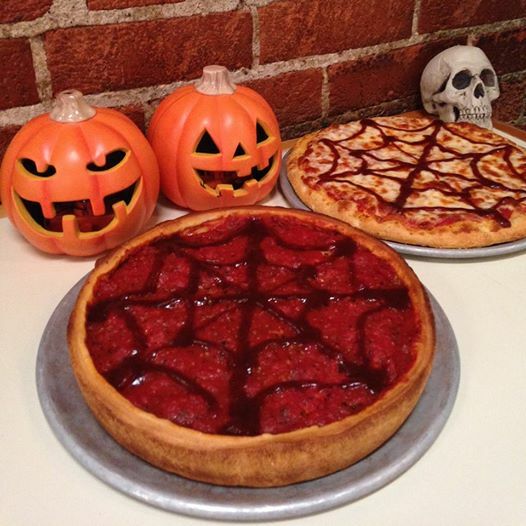 Order your half-baked and fully baked Halloween pizzas today!